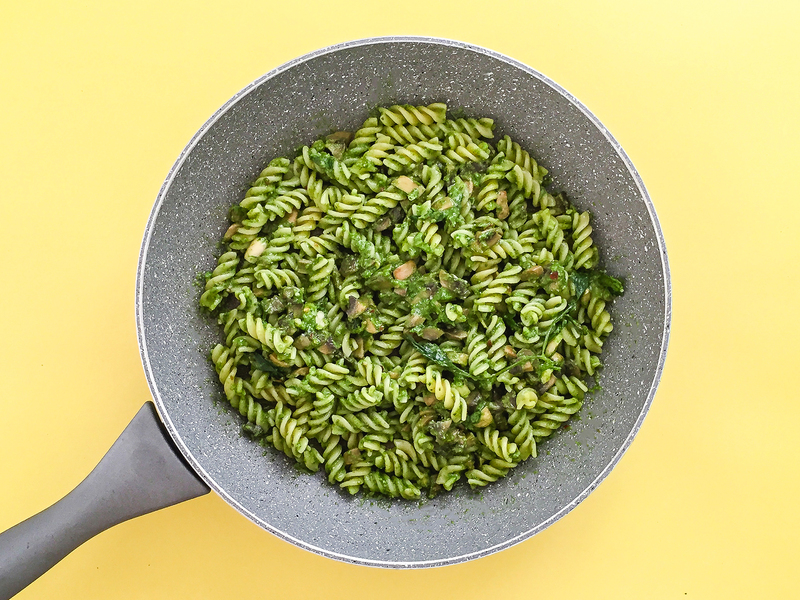 Pesto is an amazing condiment for pasta and there are so many variants out there. 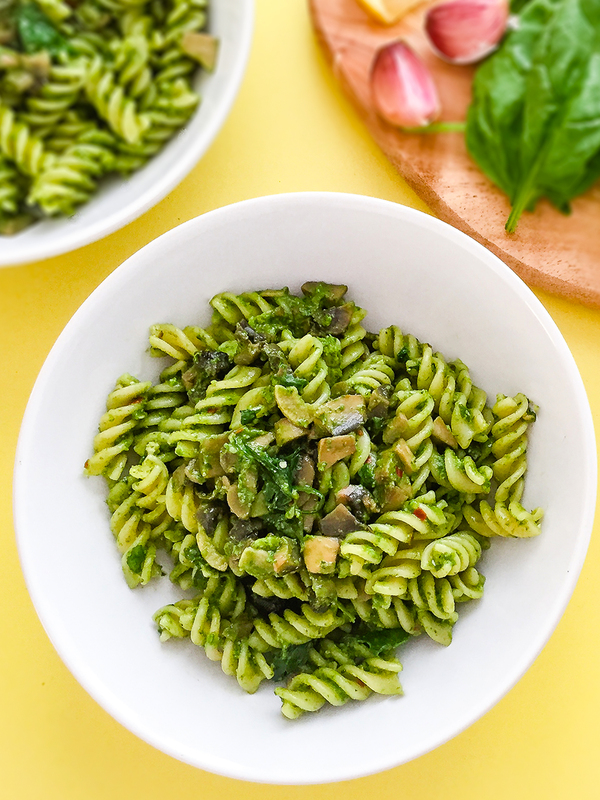 Spinach leaves are a great alternative to the traditional basil leaves and ground flax seeds make a healthy substitute to grated parmesan, making this recipe dairy-free and vegan-friendly. 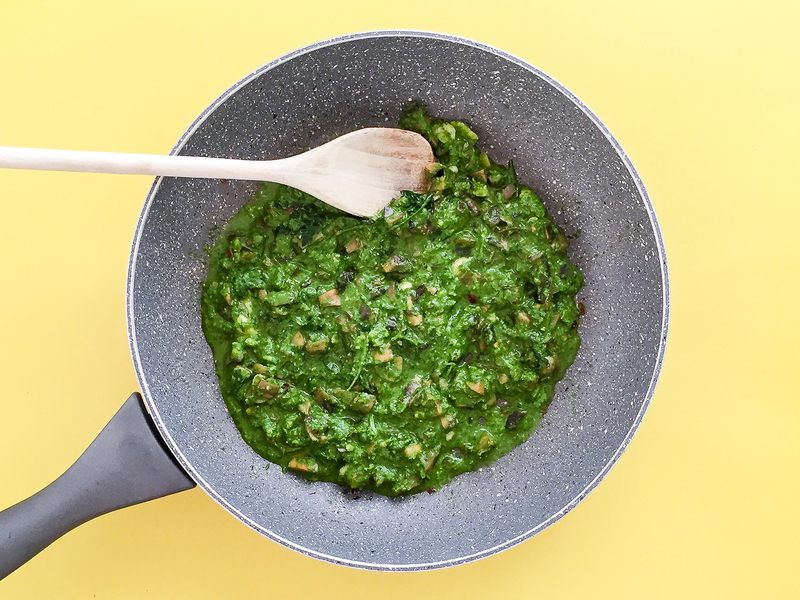 Prepare a big batch of this delicious pesto and store it in the fridge for up to 5 days. You can use it again for pasta or try to add it to other dishes like homemade wraps or baked potatoes, the choices are endless! In a saucepan on medium heat, sizzle 1 tbsp of olive oil with thinly sliced garlic and chili flakes for about 2 minutes or until the garlic is lightly golden. 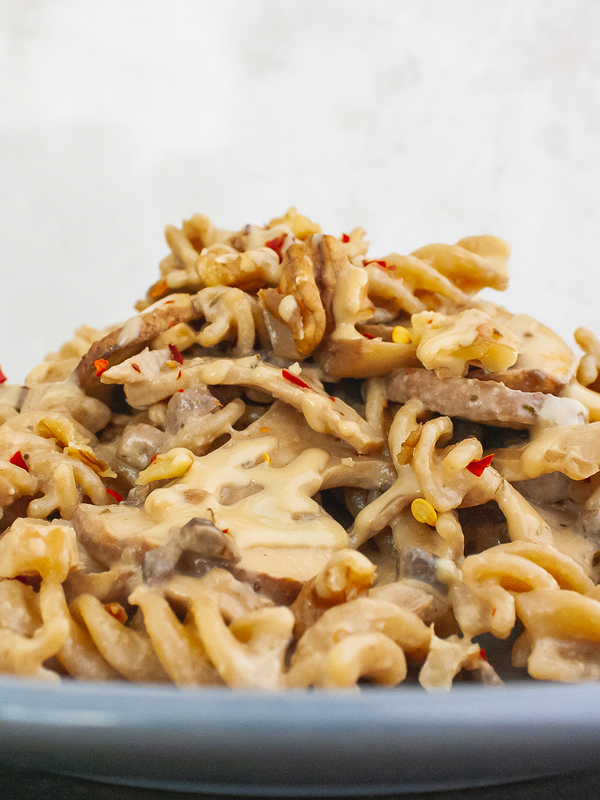 Add the chopped mushrooms, season to taste and cook with the lid on for about 8 minutes. 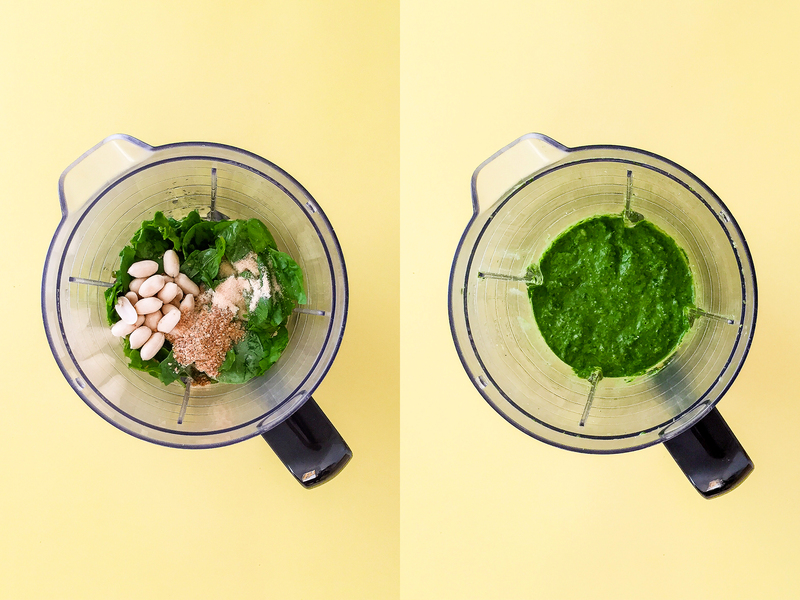 In the meantime, put the spinach, peanuts, ground flax seeds, garlic powder, lemon juice, and 2 tbsp of oil in a food processor and blitz until smooth. If needed add a bit of water to the mixture and blitz again to make the pesto creamy. In a separate pan bring water to the boil and add salt according to taste. 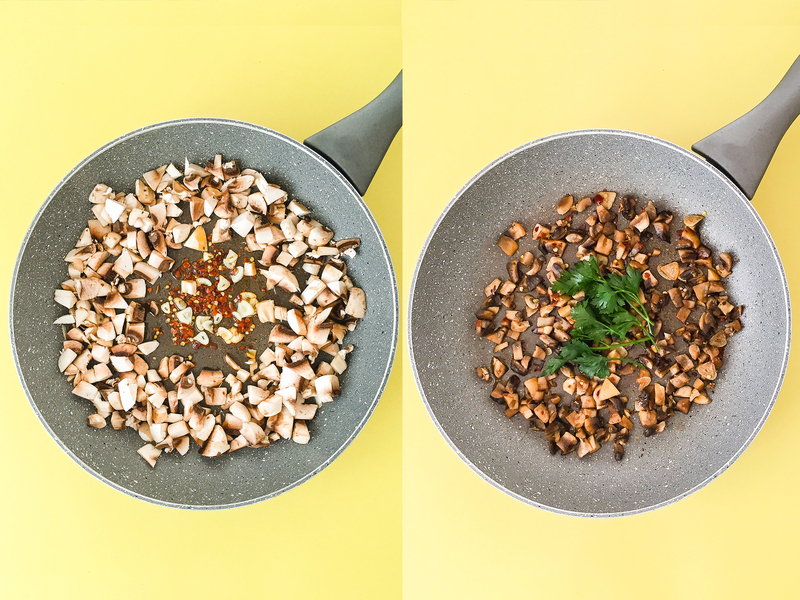 In the saucepan with the mushrooms on medium heat, pour the pesto and add a bit of the hot boiling water to make a creamy sauce as shown in the picture. You&apos;ll want this to be quite runny so that it will coat well the pasta. Add the pasta to the pan of salted boiling water and cook according to the package instructions. However check the pasta a couple of minutes before the end of the cooking time as pasta has to be firm to the bite, al dente. Drain the pasta well, add it to the pan with the pesto and mushrooms, stir, and cook for about 1-2 minutes on medium heat. Garnish with fresh parsley and serve. 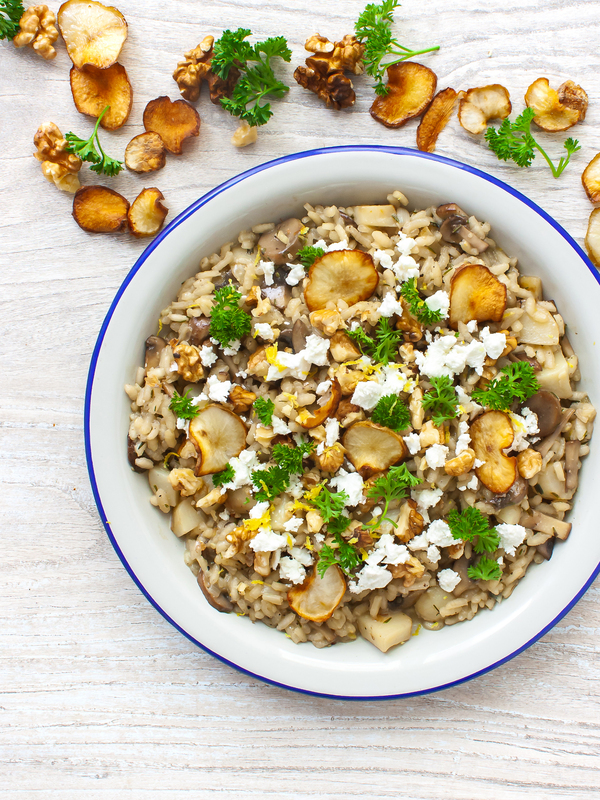 Try to replace peanuts with other nuts like walnuts, cashews or the traditional pine nuts. Add hot or boiling water to the pesto to reach the right creaminess. 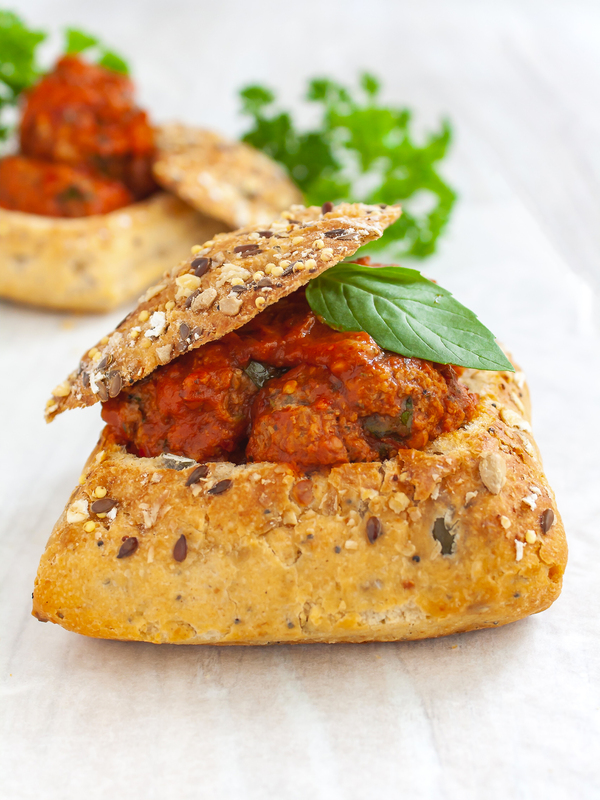 If you like, you can substitute flax seeds with nutritional yeast or traditional grated parmesan.